An anomer as itself denoted a cyclic saccharide. Beta anomer is used to refer to a cyclic hemiacetal of an aldose, in which the hydroxyl group at the anomeric position is cis to the CH2OH group. The formation of the hemiacital is unfavorable, and thus, when the aldehyde and hydroxyl group are placed together, a cyclic hemiacital is formed. 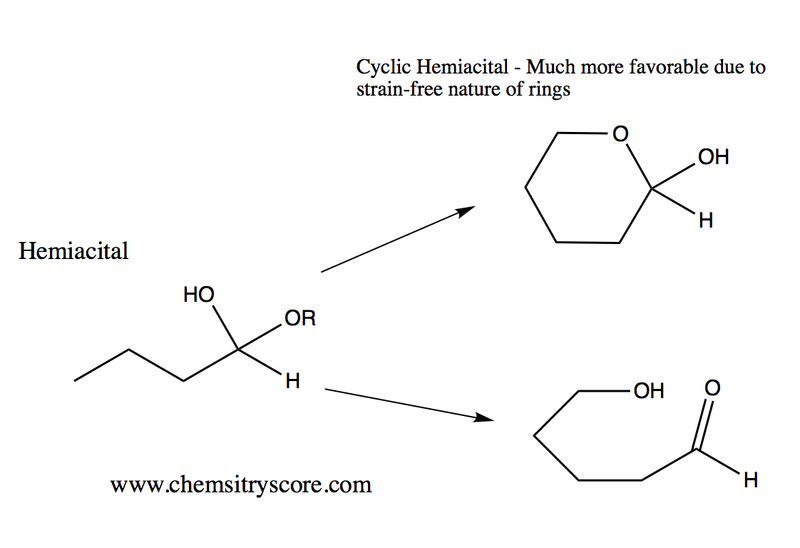 The cyclic form is much more favorable because ring compounds are strain-free.